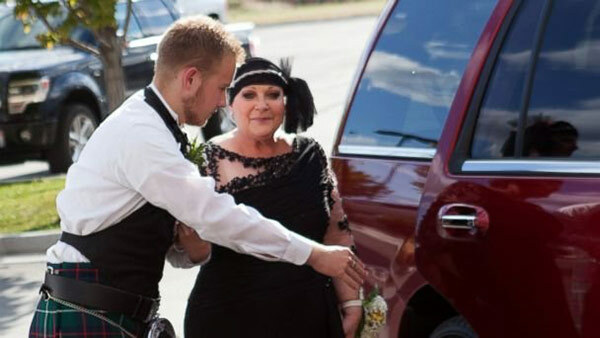 An Idaho teen escorted his terminally ill mom to his high school prom last month, after she expressed fears that she'll miss his future wedding day. Kerry Huffaker of Twin Falls, Idaho, was diagnosed with stage 4 brain cancer on February 18, with a nine to 20-month prognosis. 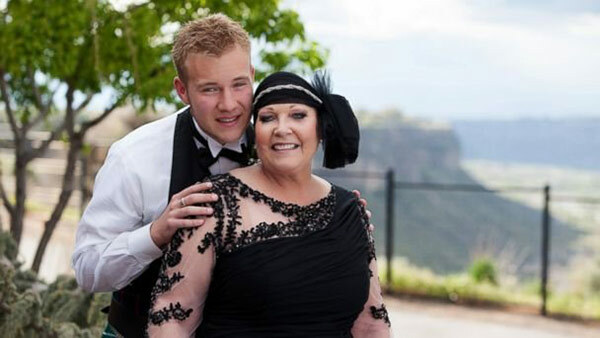 So, her 17-year-old son, Dylan, brought her as his date to the Canyon Ridge High School prom on April 30. "That was the most beautiful I think I've ever seen her," Dylan Huffaker told ABC News today. "I thought about it and I can look back after years and years and remember who I went to prom with. I'll know it was someone I loved who meant something to me." 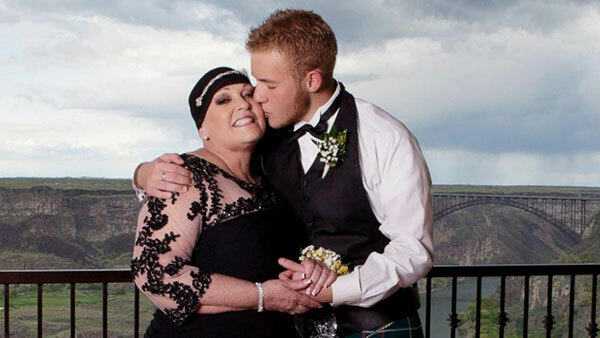 Weeks before the prom, Dylan met his mom where she was receiving radiation treatment. 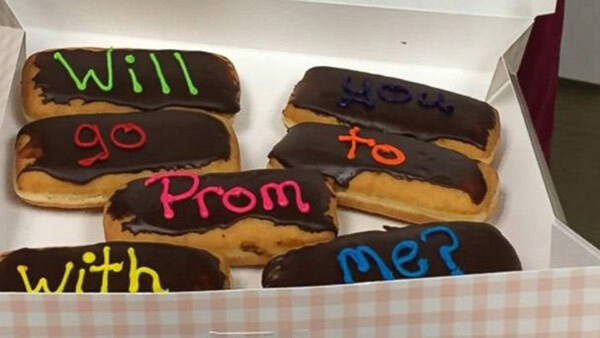 He brought with him a box of donuts, and inside written in icing was a message that read: "Will you go to prom with me?" Read the entire story on ABCNews.com. For more stories about prom, click here.